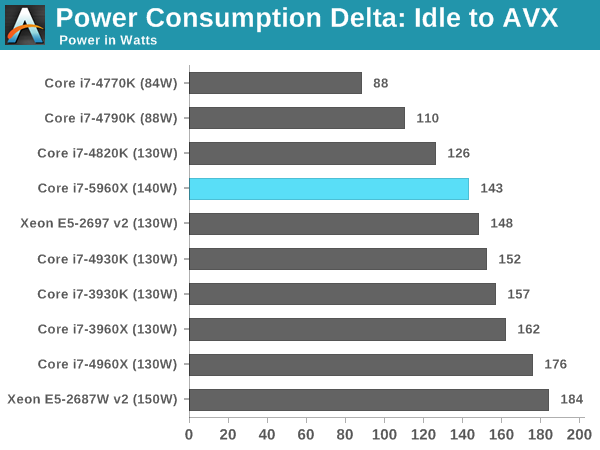 We take the power delta difference between idle and load as our tested value, giving an indication of the power increase from the CPU when placed under stress. Unfortuantely we were not in a position to test the power consumption for the two 6-core CPUs due to the timing of testing. Because not all processors of the same designation leave the Intel fabs with the same stock voltages, there can be a mild variation and the TDP given on each CPU is understandably an absolute stock limit. Due to power supply efficiencies, we get higher results than TDP, but the more interesting results are the comparisons. The 5960X is coming across as more efficient than Sandy Bridge-E and Ivy Bridge-E, including the 130W Ivy Bridge-E Xeon. Thank you to Cooler Master for providing us with Nepton 140XL CLCs and JAS minis. A quick word to the manufacturers who sent us the extra testing kit for review, including G.Skill’s Ripjaws 4 DDR4-2133 CL15, Corsair for similar modules, and Cooler Master for the Nepton 140XL CLCs. 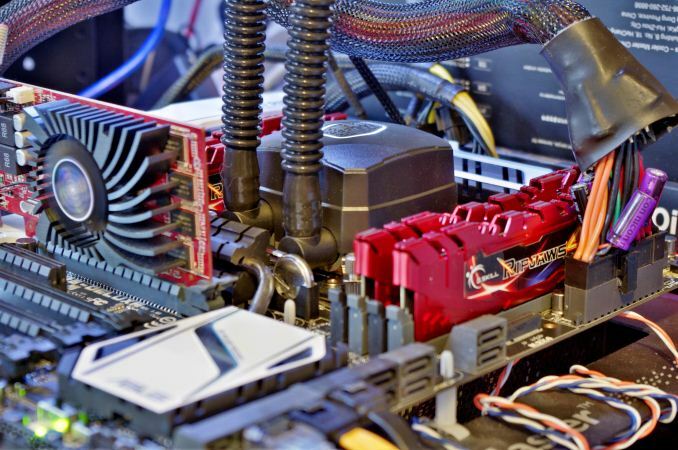 We will be reviewing the DDR4 modules in due course, including Corsair's new extreme DDR4-3200 kit, but we have already tested the Nepton 140XL in a big 14-way CLC roundup. Read about it here.